My name is Laurent Fanuel. I am a Volunteer at Africa Volunteer Corps. I volunteer at KIVINET a local organization that was established for the purpose of monitoring and coordinating Village Community Banks (VICOBA) in the Kilimanjaro region. KIVINET provides capacity building support to different groups of entrepreneurs by providing the groups with skills training and capital. Laurent with the Director of KIVINET. 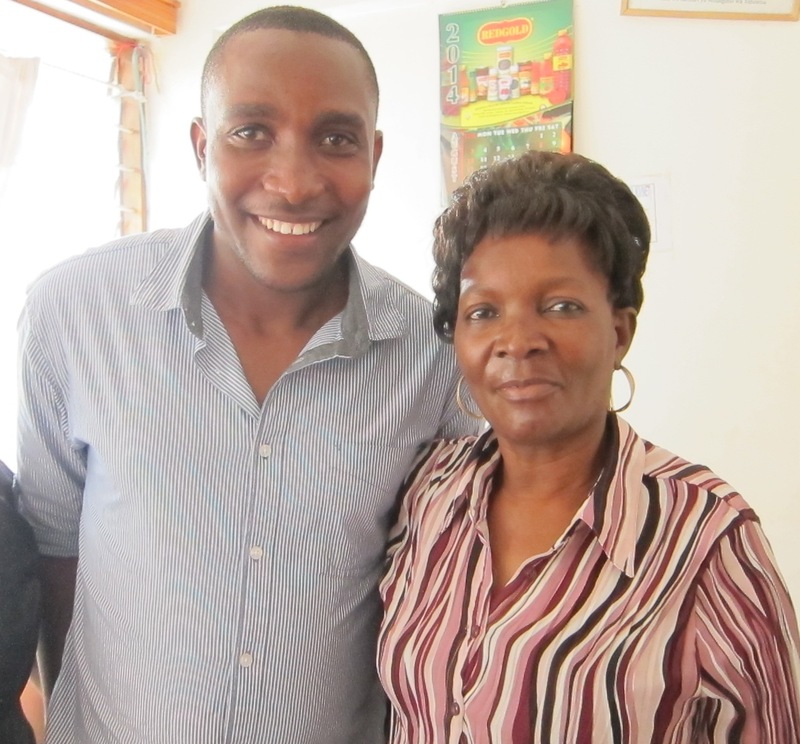 At my placement site, I help teach entrepreneurial skills to Village Community Bank members. I assist with accounting for the VICOBA groups and register them so that they can operate legally. I help conduct inauguration ceremonies and fundraising activities for newly registered VICOBA groups. VICOBA groups benefit all of their members. Individuals are able to borrow money through the group and pay it back through the group. This makes it easier for people who don’t have access to banking services to borrow money. People can use the money for whatever they need, whether it is paying medical fees, starting a new business, or paying for the funeral of a relative. One Saturday when I was volunteering with KIVINET, I participated in the inauguration ceremony of one of our member groups known as LURUNDE VICOBA. I really enjoyed participating in the local fundraising, which we conducted that day by selling raffle tickets for prizes to members of the VICOBA group. 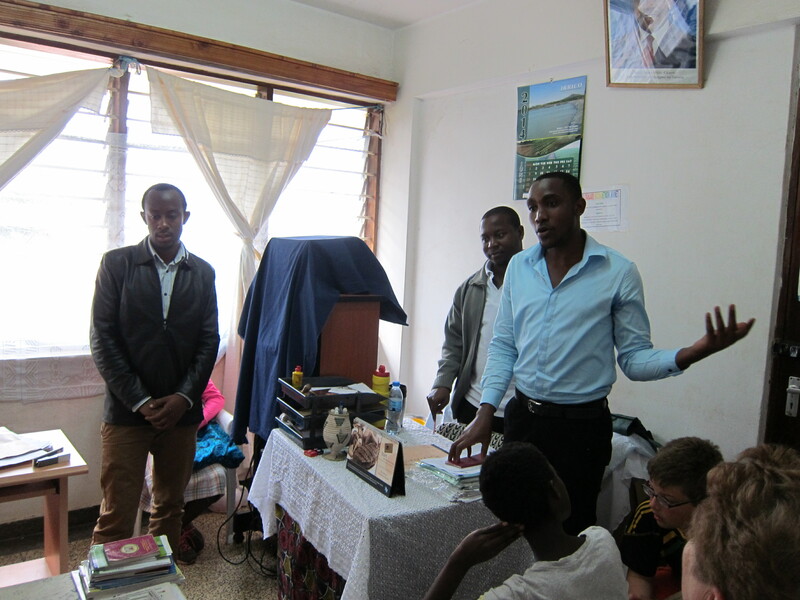 They were raising money for their activities such as providing loans for small businesses. The group raised about 4,000,000 TSH (2,500 USD) at that particular fundraiser, which is a big success. At the fundraiser, I realized that we as Tanzanians have money and many other resources and many ways of raising funds. However, people lack the particular skills they need to run businesses, do local fundraising, or utilize their resources effectively. VICOBA networks provide people with the skills and resources they need in order to start projects and take advantage of what is available to them in the community. 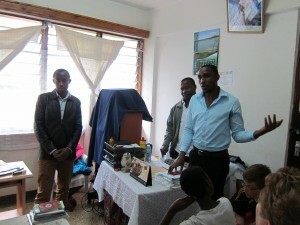 Laurent (right) speaks to a group of visitors at the KIVINET office in Moshi. I signed up to be a Volunteer with AVC because I wanted to build my professional skills, gain new knowledge and experience, create a network that will help me to obtain a permanent job in the future, and have the opportunity to use the knowledge that I have already. As a Volunteer, I have been able to do all of this and I have learned that serving in your community or society is very valuable and productive. Being a Volunteer has affected me in so many positive ways.